Sometime around when I went off to University she wrote a few recipes down in the back of a cookbook that she had bought for me. 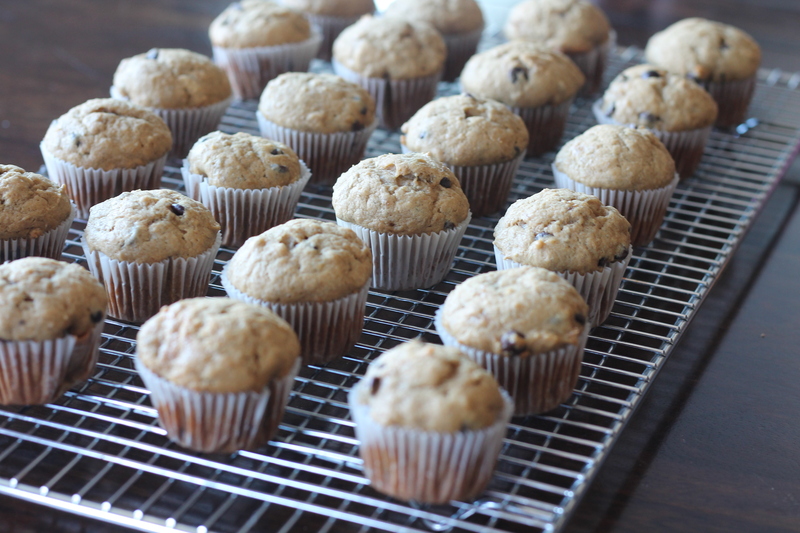 There are three: her famous Lasagna; garlic potatoes; and these banana chocolate chip muffins. Surely that’s enough to survive on, right? 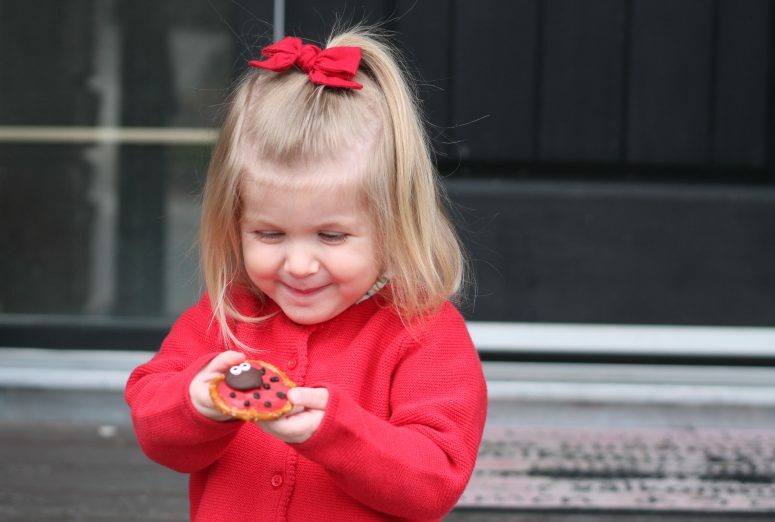 In any case, these recipes bring back memories of my childhood and the smell of her kitchen. The oldest of five kids, she grew up cooking and caring for her younger siblings. Needless to say, she definitely knew her way around a kitchen. I’m mindful that one day my girls will want my everyday recipes, too, and I’m making more of an effort to record these things. 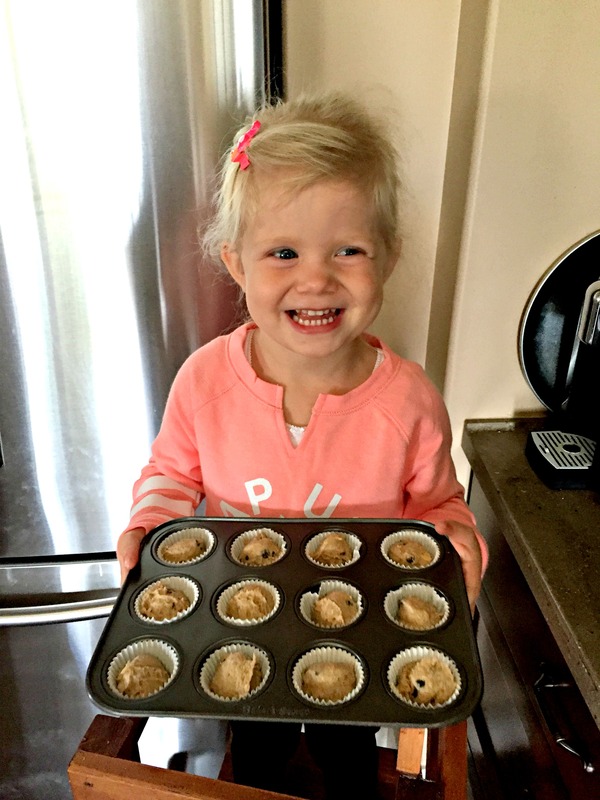 Vienna loves to help in the kitchen and this is one of our favorite recipes to make together. To be honest, I just follow the order above and throw it all into one bowl (with the exception of pre-mashing the bananas). 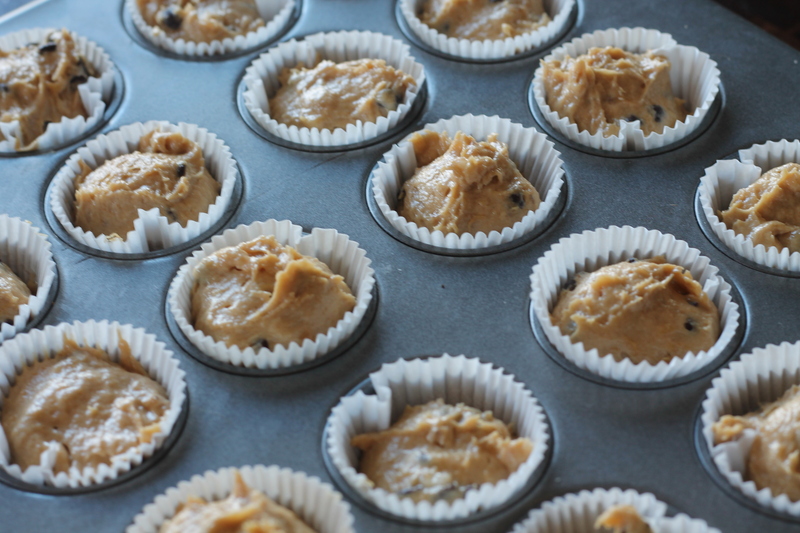 Then grease the muffin tin, or line with baking cups, and spoon in batter. Bake @ 350 degrees for 25 minutes, until golden brown. 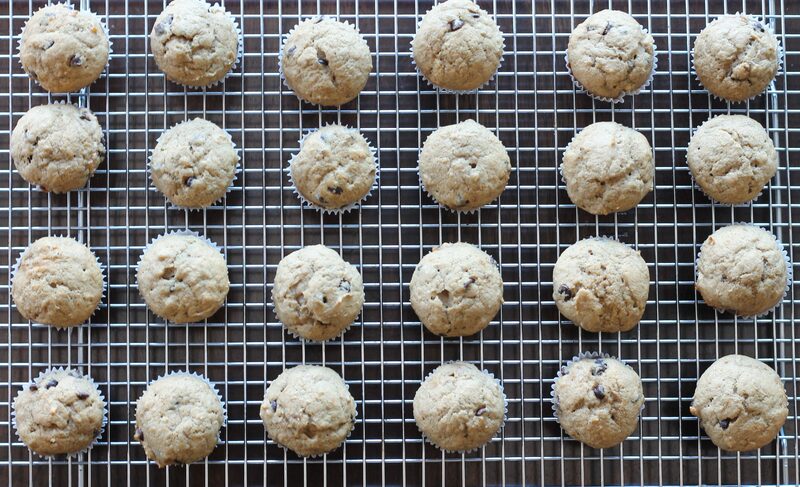 Makes 36 mini muffins or 12 large. *A word on sugar: This recipe called for 3/4 cup of sugar. Recipes twenty years ago (I’m not possibly old enough to say “back then”, am I??) at least to my knowledge, did not strive to be sugar, dairy, gluten and five-other-ingredients free. (I know, I know … some people require these modifications, and I’m not here to argue that sugar isn’t bad). Over time I have modified this ever so slightly to be 1/2 cup of sugar, which is plenty sweet. I’ve also substituted in coconut sugar and my family couldn’t tell the difference and they were just as delicious! 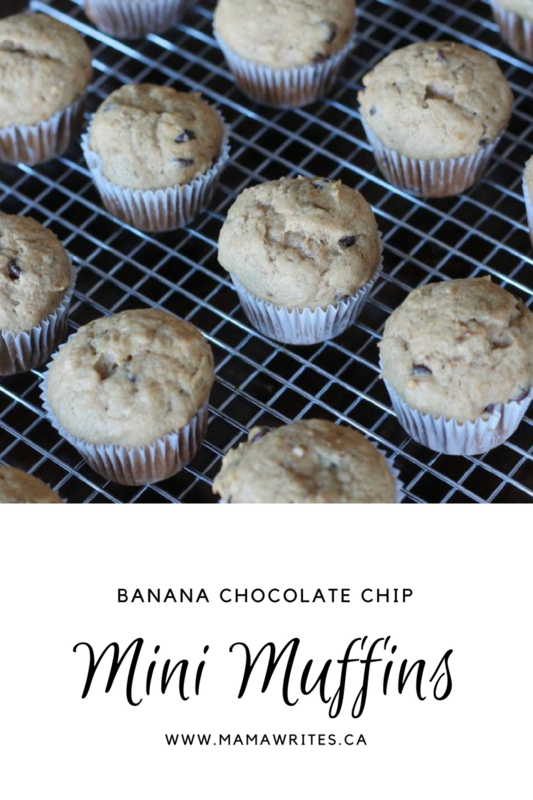 I will be making these with the bananas sitting on my counter soon! 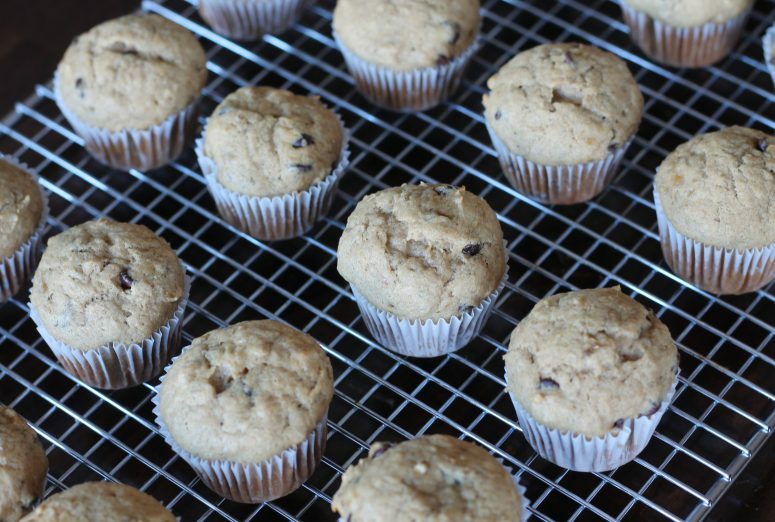 You seriously can’t go wrong with chocolate chip muffins. They were my absolute favorite growing up! 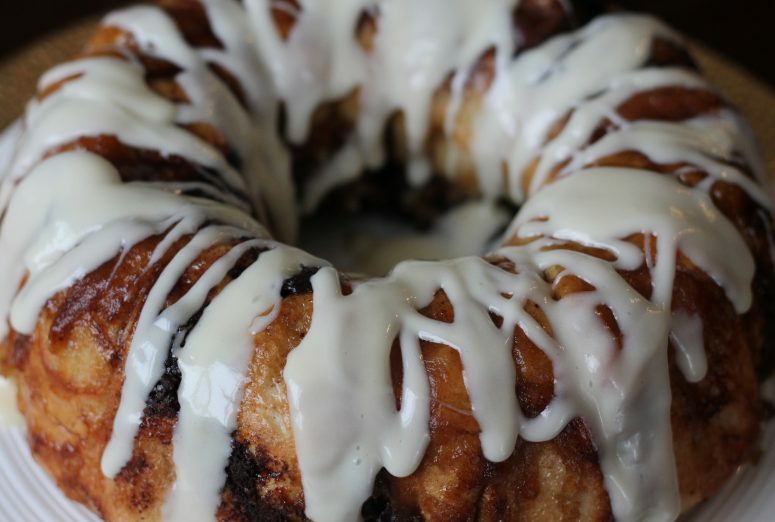 I’ll definitely be making these this weekend for church! 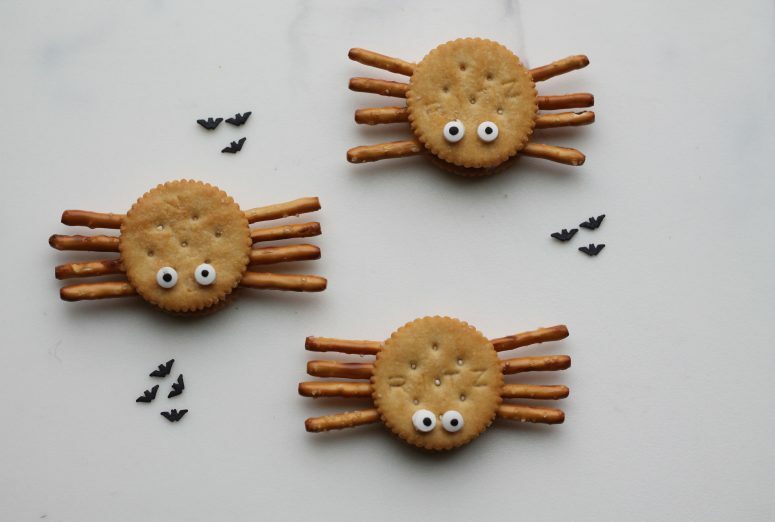 These look delish and those photos are fabulous! !